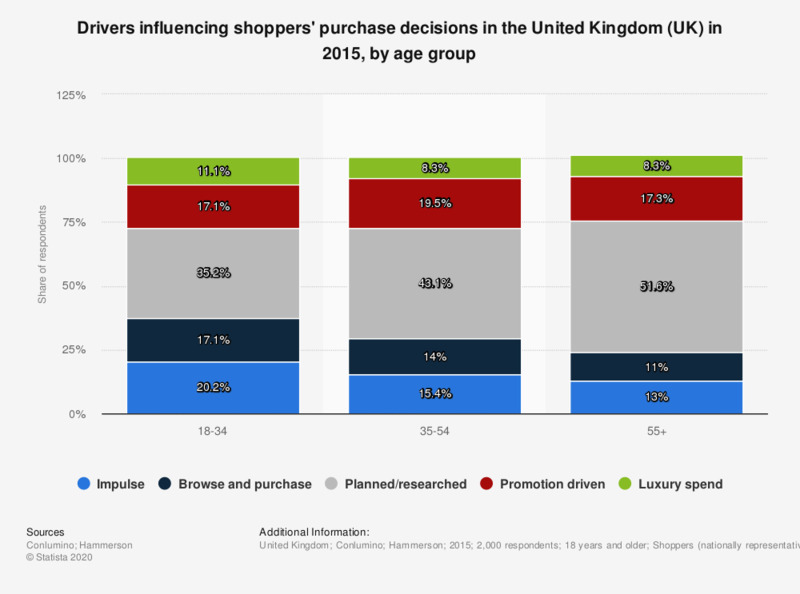 This statistic displays the drivers influencing shoppers' purchase decisions in the United Kingdom in 2015, by age group. According to the survey 20 percent of 18 to 34 year olds are driven on impulse, while 35.2 percent of shoppers in the same age group claim their purchase decisions are planned and researched. What most influences you when it comes to which sun tan lotion to buy? How important are the following features for you in a mattress? How much do social media typically influence your purchasing decision?